This article seeks to explore the dynamics surrounding the various Sunni jihadi groups in the south of Syria near the border with the Israeli-controlled Golan Heights, examining whether they pose a significant and imminent threat to Israel's security. It is based on a presentation given by the author at a Rubin Center for Research in International Affairs symposium, "Israel in a Changed Middle East," in honor of the late Prof. Barry Rubin in February 2016. 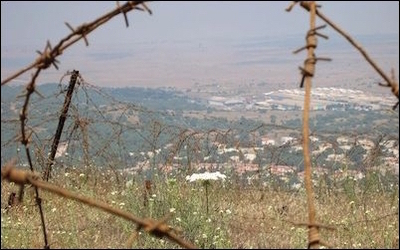 Syria, as seen from the Israeli-controlled Golan Heights. Though discussions of threats on Israel's northern border with Syria typically focus on the Lebanese Hizballah and Iranian angle–with concerns that these actors are attempting to open up a front along the Golan Heights against Israel–it should be noted that Israeli concerns also take into account the Sunni jihadi presence near the border areas, particularly in the southern Syrian province of Dar'a that also borders Jordan. The most notable groups of interest in this context are Liwa Shuhada al-Yarmouk (the Yarmouk Martyrs Brigade, LSY), Harakat al-Muthanna al-Islamiyya (the Islamic Muthanna Movement, HMI), Syrian al-Qa'ida affiliate Jabhat al-Nusra, and Jama'at Bayt al-Maqdis al-Islamiyya (Islamic Bayt al-Maqdis Group- JBMI). As of the time of writing of this article, HMI is in a military alliance with LSY. Therefore, it is useful to consider both groups together in one section beginning with tracing the emergence of LSY. Further, since LSY has been embroiled in a war with Jabhat al-Nusra since December 2014, it makes sense to assess how the development of LSY over time has impacted Jabhat al-Nusra's presence in the south of Syria, rather than give a separate profile of Jabhat al-Nusra. Finally, in assessing the dynamics regarding these various jihadi groups in the south, it is necessary to ask whether their presence constitutes any real threat to Israel at all. Liwa Shuhada' al-Yarmouk has evolved from a "moderate" Islamist, ostensibly pro-democracy Syrian militia into an affiliate of ISIS. The "Yarmouk" component in LSY's name is a reference to the Yarmouk Valley/Basin (Arabic: Wadi/Hawdh al-Yarmouk) in which LSY first came to be in the summer of 2012. The most important local basis for the founding of LSY can be traced to the Yarmouk Valley village of Jamlah, which is right on the border with the Golan Heights. This village primarily consists of two local clans: the Baridis and the Samuris. The Baridis are renowned as land owners in the local area and are among the primary founders of LSY, with LSY's first leader being one Muhammad Sa'ad al-Din al-Baridi, also known as Abu Ali al-Baridi and more affectionately among his followers as "al-Khal" (the Uncle). The figure of al-Khal is in fact crucial to the story of LSY. Under his tenure, LSY started out as a Free Syrian Army (FSA)-brand brigade that early on became affiliated with Western, Gulf, and Jordanian-backed structures supported through an operations room in Amman (Amman MOC), participating in a number of battles and operations alongside other FSA formations in the south. 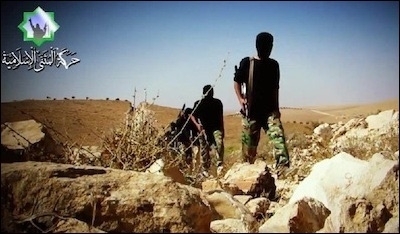 However, following clashes with Jabhat al-Nusra in December 2014 and through 2015 until his assassination in mid-November 2015, the group openly displayed affinities with the Islamic State (IS), even as Jabhat al-Nusra had clashed with LSY in the first place over the former's accusations that the latter had links with IS. Examples of these open affinities will be discussed in more detail later, but they include adoption of IS' flag in the group's emblem as well as use of IS songs (anashid) and discourse, besides the fact that members and supporters on social media regularly praise IS. A considerable controversy surrounds al-Khal in relation to the shift in orientation towards IS and the issue of motivation. In other words, a question that must be raised is whether al-Khal harbored jihadi ideology from the outset even as his brigade first took an FSA form, or rather came to adopt such ideology over time. The evidence as it stands currently suggests that al-Khal was in fact a jihadist all along. Born in 1970 to a landowning family from Jamlah, al-Khal worked in agriculture and went on to study in Arabic language in Damascus University, as well as studying in a Shari'i institute in the Bilal mosque in Damascus. Graphic dedicated to al-Khal's "martyrdom." Accounts that have emerged of al-Khal's life since his assassination also agree that he was imprisoned at some point by the regime, and the most reliable suggest imprisonment on account of suspected Islamic extremist affiliations/sympathies, eventually being released at some point in 2011 as part of a regime amnesty ostensibly for political prisoners in general but widely suspected of being a deliberate plan to release Islamists and jihadists and increase their influence in the wider opposition in order to fit a regime narrative of fighting a "terrorist" conspiracy against Syria. Indeed, there is even a video clip of al-Khal that emerged in 2015 in which he is shown to be denouncing Jabhat al-Nusra, likening them to tawaghit (idolatrous tyrants). Towards the end of the video, he appears to make the point that he somehow has better jihadi credentials than Jabhat al-Nusra, because he was in "the tanzim" ('the organization') for 15 years, and that this affiliation was the reason for his imprisonment. The word tanzim suggests tanzim al-Qa'ida (i.e., the al-Qa'ida organization). Thus, this video seems to constitute an open line of evidence pointing to al-Khal's radical past prior to the beginning of the armed revolt in Syria, though it is not clear what exactly an al-Qa'ida affiliation would have entailed, considering that there is no evidence al-Khal ever fought in a conflict involving jihadi forces besides the Syrian civil war. Did he perhaps act as a facilitator for jihadi recruits going to Iraq via Syria to fight in the ranks of the al-Qa'ida franchise there during the U.S. occupation of Iraq? One line of testimony to this author also affirms that al-Khal wanted to go to Iraq but the regime's security apparatus caught up with him, fitting into a double-game pattern on the part of the regime whereby jihadi inflow into Iraq was facilitated at times but crackdowns occurred on other occasions. A further piece of evidence suggesting that al-Khal was a radical from the outset is his association with Abu Obayda Qahtan, a Palestinian-Syrian originally from the Yarmouk camp in Damascus who fought in the Afghan jihad in the 1980s. Qahtan took over the leadership of LSY following al-Khal's death, but was eventually replaced by a Saudi known as Abu Abdallah al-Madani, who is portrayed by LSY as the true successor to al-Khal and will be discussed in more detail later. Contrary to some suggestions that Qahtan was in another group before joining LSY, accounts from LSY circles all agree that he was among the founders of the brigade. Therefore, on this reading, one must ask why LSY in the beginning adopted an FSA brand, maintaining it for around two years and even signing onto a statement that affirmed a commitment to non-sectarian, democratic values in June 2014 (just prior to the Caliphate declaration) as part of the Amman MOC-backed Southern Front. Indeed, this history contrasts strongly with that of HMI, which was founded in 2012 as the al-Muthanna bin Haritha Conqueror of the Persians Battalion by former Sadnaya detainee Aamar Ayyub al-Masalama and from the outset was clearly of a Salafi and jihadi orientation. In March 2013, Aamer Ayyub al-Masalama was killed and succeeded by his brother, and two months later the battalion formally declared its evolution into a movement, thus HMI. The most plausible explanation for LSY's initial branding is that LSY was likely taking into account local sensibilities, which have generally been less welcoming of jihadists than in northern Syria, and there was a desire to secure potentially lucrative weapons and funding from external backers, especially the MOC Amman. In contrast, HMI seems to have been keen all along to emphasize independence from such foreign support, but both groups have had to take into account local sentiments to an extent in the general rejection of muhajirin (foreign fighters). As one LSY source put it, the presence of foreign Shari'i officials in the area caused tensions with the fighters in the brigade. In addition, in LSY's case in particular, a policy of acceptance of muhajirin would likely have triggered further hostilities with the MOC Amman, as Jordanian intelligence had apparently become suspicious of LSY and al-Khal early on. These suspicions culminated in the suspension of MOC Amman support for LSY in June 2014, despite the signing of the Southern Front commitment to democracy and human rights. The Emirati state-owned newspaper The National cites the reason as concern over the supposed influence of the Muslim Brotherhood (MB) over al-Khal and his group that developed over time. However, nothing corroborates the notion of MB influence: rather, it appears that The National is projecting Emirati perceptions, which are extremely hostile to the MB and see it as a key root cause of terrorism and extremism. As noted above, the evidence actually points to al-Khal and his closest associates as jihadists from the beginning. Hence, the narrative of MB influence does not really make sense here. 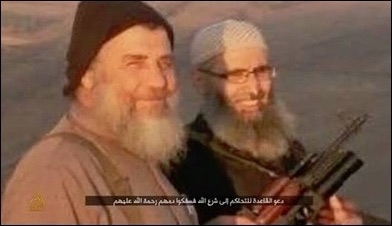 Abu Muhammad al-Masalama (left) with al-Khal (right). In any case, one can accept the fact of the suspension of MOC Amman support for LSY, and that this suspension marked the beginning of LSY's turn towards IS, as it was also around the same time the Caliphate was officially declared (June 29, 2014). A key figure in the turn towards IS was one Abu Muhammad al-Masalama (Ahmad Kassab al-Masalama), another veteran of the Afghan jihad. Abu Muhammad al-Masalama returned to Syria in 2012 but was not among the original founders of LSY–rather he joined at some point in 2013. From LSY sources, he was the first link with IS, visiting the IS de facto Syrian capital of Raqqa in the summer of 2014, apparently along with other LSY figures such as Abu Hamza al-Shari'i (Khalid Mshaleh). In the public realm at the same time, one observes the first shifts in LSY's image, abandoning the FSA-style emblem and adopting one more Islamic in orientation, albeit lacking the IS flag, contrary to some erroneous reports. In addition, some localized clashes occurred with HMI and some FSA factions, leading to discourse on the part of pro-LSY/LSY-linked pages that suggested that HMI was not Islamic at all, contrary to its name–something that resembles IS discourse that routinely pronounces rival rebel factions to be non-Islamic/apostates. In September 2014, the MOC Amman reportedly resumed support for LSY in the hopes of bringing it back into what it saw as a more acceptable orbit, but the restart of aid was subsequently cancelled for good. The group continued to participate in military operations alongside other formations but in November 2014, Abu Muhammad al-Masalama was assassinated. In a video subsequently released by LSY in March 2015, the group eulogized him and accused Jabhat al-Nusra of being behind the killing. The claim is likely correct and the probable motive is that Jabhat al-Nusra knew of the IS connection. In a similar vein, al-Khal apparently claimed to Orient News that he wished to form an alliance with Jabhat al-Nusra but he was rebuffed. The likely reason is again that Jabhat al-Nusra knew of the IS connection. As per LSY's narration, the trail of events leading up to the killing of Abu Muhammad al-Masalama begins with the disappearance of Abu Dujana al-Masalama, one of Abu Muhammad al-Masalama's companions, on October 18, 2014. Prior to the disappearance, LSY alleges that Jabhat al-Nusra appointed a security official to spy on the local base and track Abu Dujana's movements, coordinating the kidnapping with Abu Ubada al-Homsi, the leader of the Sawarim Battalion in Dar'a. 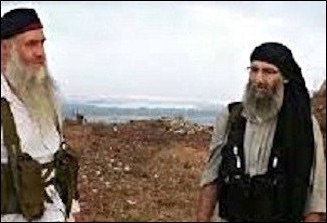 Then on November 11, 2014, Jabhat al-Nusra killed Abu Muhammad al-Masalama and his companion Abu Hafs al-Masalama on the B'ir al-Shayah road in Dar'a. These tensions undoubtedly contributed to an atmosphere of hostility that erupted into full-blown clashes in December 2014. As Jabhat al-Nusra accused LSY of allegiance to IS as well as the kidnapping of a woman and three members, LSY said it had arrested a group of people from Dayr al-Zur staying in Jamlah, thus discovering the presence of a Jabhat al-Nusra member who was assigned to spy on LSY. In addition, al-Khal's deputy Abu Abdallah al-Ja'ouni, who was originally from the Yarmouk Valley village of Shajrah where the Ja'ouni clan is prominent and was responsible for Koran learning and soccer coaching prior to the revolution, read a statement issued by LSY affirming its independence. It would appear that other rebels in the south, seemingly reluctant to take Jabhat al-Nusra's side, denied the notion that LSY was connected with IS, either claiming that it was a mere pretext on Jabhat al-Nusra's part to take on a powerful "moderate" group or that it was regime psy-op. Mediation efforts, first proposed by the rebel judicial authority Dar al-Adl (a body that al-Khal always rejected) and then HMI, all eventually failed. It was also after this point that LSY began displaying overt affinities with IS. As mentioned earlier, these signs include adopting the new logo with IS' flag, the use of similar talking points in referring to opponents (e.g., apostates and Sahwa forces in reference to rival rebels, "al-Harari" in reference to Jabhat al-Nusra figure Abu Mariya al-Qahtani, "the Jawlani front" in reference to Jabhat al-Nusra, etc. ), the use of IS anashid (e.g., a video that emerged in early 2015–though the question of when exactly the video was made is uncertain–featuring the recital of the nashid "Our State Is Victorious" [Dawlatna Mansura] among LSY members including al-Khal<) and routine praise for IS on members' social media accounts. Moreover, LSY appears to follow the same salary scheme for fighters as that of IS–$50 per month as the baseline starting salary, with an extra $50 per month if one is married and an extra $35 per month for each child. These overt displays of affinities can be seen in part as a reaction to the clashes with Jabhat al-Nusra, as a way to emphasize opposition to Jabhat al-Nusra even more strongly. LSY denies having any link to Islamic State, but its fighters certainly look the part. In its areas of control in the Yarmouk Valley, LSY began embarking on a "reform program" that involved setting up an administration by mid-2015 imitating the IS bureaucratic system that consists of various diwans (government departments). However, it should be noted that the LSY system is by no means as comprehensive as that of IS. As of the time of writing, the diwans that do exist are the Diwan al-Hisba (Hisba department: enforcing Islamic morality), the Diwan al-Da'wa wa al-Masajid (Da'wa office: for religious outreach to the local population), and the Diwan al-Qada (Shari'i court/judiciary), definitively rejecting the authority of the Dar al-Adl. LSY's Yarmouk Valley Media, which employs the same style as IS provincial media offices in issuing high quality photo releases with captions and focusing on similar themes, has also claimed the existence of a Diwan al-Ta'alim (education department) in one photo series, but no evidence actually corroborates this claim. In fact, both the media director for LSY and another LSY source denied the existence of a Diwan al-Ta'alim to this author. In Shajrah, one of the villages controlled by LSY, the schools are actually overseen by employees affiliated with the Assad regime. Moreover, one should note that LSY lacks a Diwan al-Khidamat (services department). Rather, again looking at Shajrah, there is a local council responsible for the oversight of services, and all evidence indicates that it is a civilian institution independent of LSY. For this reason, Tamkeen, an aid organization funded by the British government and EU aiming to promote civil society in select Syrian communities, continues to operate in Shajrah. The continuation of Tamkeen's work also reflects a degree of local pushback against LSY efforts to impose Islamic law along the lines of IS' vision in the Yarmouk Valley, as LSY backed off from an attempt to shut down an initiative involving women. Another incident of local pushback–though far less successful–involved a small uprising against LSY in the locality of Nafi'a in October 2015, after LSY members tried to put a stop to the use of music at a wedding. This led to armed groups attacking LSY members in the locality, though the disturbance was eventually put down. Even so, it is clear that the approach of LSY towards imposing Islamic regulations has been less hasty and forceful than that of IS, taking into account the local environment. Thus, when it comes to women's dress, the Diwan al-Hisba has distributed niqabs to locals but has not made wearing them compulsory. The year 2015 also saw the acceptance of a very limited number of foreigners into the ranks of LSY. The only true muhajir in the sense of a new foreigner arriving from abroad was an Israeli Arab who paraglided into LSY territory from the Golan Heights in October 2015, with prior approval from al-Khal for him to join the group. The other muhajirin were largely Jordanian defectors from other groups. Thus, the Jordanian official in Jabhat al-Nusra known as Abu Abd al-Malik al-Urduni was reported in mid-January 2015 to have defected to LSY. According to a source close to Abu Abd al-Malik al-Urduni cited by the pro-Syrian opposition news outlet Step News Agency, the reason for the defection was the arrival of Abu Mariya al-Qahtani and his contingent to Dar'a province (following the defeat of Jabhat al-Nusra and the rebels in eastern Syria at the hands of IS by summer 2014), leading to a meeting in the Dar'a town of Inkhil with the Jabhat al-Nusra amirs regarding the infighting between Jabhat al-Nusra and IS–a meeting also attended by Abu Abd al-Malik al-Urduni. Apparently, some of the amirs in Jabhat al-Nusra were not convinced regarding Qahtani's explanation for the fighting and feared that he would cause problems in Dar'a, and so they wrote a message to Jabhat al-Nusra's chief Shari'i official Sami al-Uraydi demanding the removal of Qahtani from Dar'a. However, since he refused to heed the message, Abu Abd al-Malik al-Urduni and a number of others defected to LSY. Since that time, an LSY source has informed this author that Abu Abd al-Malik al-Urduni has subsequently moved to the formal IS territories of Wilayat Dimashq (Damascus province) at the request of IS–yet another indication of links between LSY and IS. Another defector of Jordanian origin taken into the ranks of LSY is one Abu Tahrir al-Urduni, who is currently a military commander in LSY. Abu Tahrir was originally a commander in the Syrian Revolutionaries Front (SRF) of the southern region, which has outlived its northern forerunner that was led by Jamal Ma'arouf and expelled from Idlib province by November 2014. In an interview with pro-opposition website All4Syria in April 2016, SRF media office director Mahir al-Ali affirmed that Abu Tahrir had been expelled from SRF more than a year ago and had tried to return more than once but was rejected, as SRF considered him to be mentally disturbed. Abu Tahrir thus joined LSY. Over the course of 2015, the war between LSY and its rivals remained largely at a stalemate with heavy attrition on both sides. In June 2015, Jabhat al-Nusra and Ahrar al-Sham led the formation of a new coalition in the south: Jaysh al-Fatah southern region, on the same branding as the successful alliance led by these two groups in Idlib. Jaysh al-Fatah southern region has focused its efforts against LSY and largely became responsible for maintaining frontline towns such as Tasil. In mid-November 2015, Jabhat al-Nusra assassinated al-Khal and a number of LSY leaders–including al-Khal's deputy Abu Abdallah al-Ja'ouni–in the village of Jamlah. Following al-Khal's death, LSY appointed Abu Obayda Qahtan as the new amir, framing his appointment in a way to deny connections to IS in that allegiance was announced to be given to Abu Obayda Qahtan as the amir of LSY. The following month, the group also released a video entitled "Healing of the Chests," featuring the execution of alleged Jabhat al-Nusra agents involved in the assassination of al-Khal. The video–using the IS nashid "Soon, Soon" and named after the video released by IS that featured the burning alive of the Jordanian pilot Muadh al-Kasasbeh–displayed a particularly gruesome execution by explosion. Despite these clear parallels with IS, at the end of the month, LSY released a statement claiming that it is an independent group and not linked to the "Islamic State group"–an interesting formulation implying denial of IS' claim to be a state. This is likely a strategy encouraged by IS in the knowledge that an open declaration of connections while LSY territory is not contiguous with IS holdings in Wilayat Dimashq would prove disastrous. HMI has clashed repeatedly with other rebel factions in recent months. In the first two months of 2016, things remained largely unchanged for LSY. In the meantime, HMI became embroiled in a war with a number of Southern Front factions amid a regime offensive to retake the strategic town of Shaykh Maskin. HMI had withdrawn from the Dar al-Adl and had occasionally clashed with some rebel factions in spring 2015 in the south such as Farqat Shabab al-Sunna in Busra al-Sham in eastern Dar'a and Liwa al-Mu'tazz bi-Allah in the town of Tafas. HMI had also attracted considerable controversy over a statement it released shortly before those clashes that appeared to be sympathetic to IS. While the statement did make clear that HMI did not consider the Caliphate declaration by IS as having authority over all Muslims, it praised IS for having fought "the states of kufr" ("disbelief"–in reference to non-Muslim entities) and called for an end to fitna between IS and "Islamic" factions. Even as the group continued to participate in initiatives coordinating with other factions (including the failed "Southern Storm" offensive to take over all of Dar'a city, there were also suspicions of involvement in assassinations and kidnappings of members of other groups and institutional bodies. The most prominent cases have been the assassination of Usama al-Yatim, the head of the Dar al-Adl, and the kidnapping of Dr. Yaqub al-Ammar, the head of the Dar'a province council, who was found in January 2016 as part of the network of secret prisons being run by HMI. The discovery sparked clashes between HMI and a number of Southern Front factions, contributing to the fall of Shaykh Maskin to the regime. From the beginning of February 2016, HMI's official media channels went completely quiet, likely because the majority of HMI including the leadership was secretly relocating to the western Dar'a countryside to set up definitive zones of control. An exception was the HMI contingent in Dar'a al-Balad (the southern half of Dar'a city), which never got involved in the infighting and which at the end of March 2016, defected to form its own Katibat al-Murabitin in light of the new round of fighting and what it sees as HMI's mistakes. HMI has cooperated with LSY and embraces Salafi ideology, but does not endorse the IS Caliphate. Hints of the looming shift in the dynamics came in March 2016. From LSY's end came the appointment of a new amir presented as the true successor to al-Khal: a Saudi by the name of Abu Abdallah al-Madani, whose name suggests he is from Medina. All lines of evidence indicate that Abu Abdullah al-Madani is not a veteran or long-time member of LSY, but rather a new arrival from outside, in that he was sent by IS to take over the administration of the group, a role in which Abu Obayda Qahtan had proven inadequate despite his military experience. As before though, the appointment of Abu Abdallah al-Madani was presented in a way consistent with the official LSY denial of links with IS, in that allegiance was declared to Madani as the new amir of LSY. Meanwhile, even as HMI's official channels were still quiet, a Telegram account was opened in HMI's name in mid-March announcing the establishment of a Shari'i court in the western region of Dar'a province, on account of rejection of the Dar al-Adl. As regards the appointment of a new amir for LSY, the likely motivation on IS' part was to prepare for the opening of a more active front in Dar'a against the rebels in a bid to keep up a sense of momentum as IS had been experiencing losses elsewhere. Sure enough, while HMI had control over the western Dar'a localities of Shaykh Sa'ad and Jalin, LSY launched a new offensive that captured the towns of Tasil and Sahm al-Jawlan from the rebels. As rebels had been moving against alleged IS cells elsewhere in Dar'a province in towns such as Inkhil, the LSY advances and HMI establishment of a new zone of control prompted a wider southern rebel mobilization against both groups. As of the time of writing, all LSY gains have been reversed and HMI has lost its zone of control, prompting the group to retreat into LSY territory and seek refuge there. Although a statement has been circulated in HMI's name claiming that it has formally joined LSY and pledged allegiance to its amir, this statement has turned out to be false. It is particularly interesting that despite the fact LSY and HMI have been cooperating and the latter has been forced to seek refuge in the former's territory, there has been no formal merging of ranks. Further, it is clear that HMI does not exercise joint control of areas with LSY. While HMI's amir denies allegations of links with IS, the group's official media channels claimed two suicide bombings targeting the rebels–deemed "apostate Sahwa forces"–an echo of IS-style discourse. One could perhaps read the initial HMI move westwards and cooperation with LSY as opportunistic in the sense of wishing to consolidate its own zones of control after the infighting with rebels, but there can be no doubt that LSY and IS are at least trying to pull the HMI remnants now in LSY territory into their orbit. The lack of a formal uniting of ranks until now could indicate some resistance within HMI to losing an independent identity. Worth considering in a separate section is the case of JBMI. Originally founded as a battalion (katiba), it later declared itself to be a jama'a (group) and has participated on a variety of battle fronts in southern Syria but has attracted suspicions of being IS-linked on account of its emblem and flag that bear similarities to IS' banner. With its primary base in the Dar'a locality of Jasim, JBMI has often erroneously been thought to be a Palestinian group on account of the "Bayt al-Maqdis" in its name, referring to "the Holy House"/Jerusalem. In fact, it is mostly composed of locals from Dar'a and Quneitra provinces. The recent turn of events in the south has shown that the group's leadership at least is not aligned with IS. The group has not come to the aid of LSY or IS and in fact suffered fragmentation in February 2016 over the leadership's decision to join an operations room alongside FSA factions. When the leadership refused to back down, a number of members defected. Most of them quit the field while a smaller contingent defected to LSY, illustrating that there have certainly been IS sympathizers within JBMI. A particular personality of interest here is one Abu Umar al-Shami, whose influence in the JBMI has kept the group in the operations room with FSA factions and kept it distant from IS. However, according to a JBMI defector to LSY, only 60-70 people remain in JBMI now. Though this article is entitled "the jihadi threat on Israel's northern border," it is perhaps more appropriate to conclude this paper by asking if there is a Sunni jihadi threat at all to Israel along the northern border with Syria. Though it is justified for Israel to keep a close eye on the situation and continue to monitor developments, the current circumstances show that the risk posed to Israel by the various Sunni jihadi groups in southern Syria is low. The main reason is that these jihadi groups are heavily embroiled in infighting and have far greater priorities than to focus their energies on Israel. In fact, the longstanding war between LSY and Jabhat al-Nusra in particular has been beneficial from Israel's perspective in causing heavy attrition on both sides: Until the March 2016 offensive, this calculation was also on the mind of southern FSA rebels, and though they now regret it amid concerns of LSY expansion threatening their own holdings, from Israel's perspective things have not really changed. Certainly it is fair to say that compared to say 2013 or 2014, Jabhat al-Nusra is not as powerful in the south anymore. Partly this development has also come about because of tight Jordanian border regulations on weapons supplies. Above all, current Israeli interests are to ensure at least that LSY holdings do not connect contiguously with formal IS territories, and that Jabhat al-Nusra should not capitalize on the war against LSY to create its own network of strongholds in Dar'a. Ideally, the southwestern pocket of Dar'a bordering the Golan Heights would be controlled only by FSA factions to ensure as minimal a risk as possible to Israel. In any case, the situation as it currently stands is hardly a disastrous one for Israel, and for the foreseeable future, things are unlikely to take much of a turn for the worse. 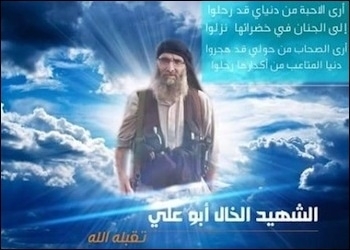 Abu Ali al-Baridi/al-Khal First leader of LSY: deceased. Abu Muhammad Jabab Served as a replacement leader for Abu Ahmad Hisba. Abu Tamim al-Ja'ouni Official responsible for the wounded. Also led the Shajrah Martyrs Brigade sub-component of LSY. According to a pro-LSY person from Shajrah who goes by the pseudonym of Shams al-Asil, is of the Baridi clan, and has spoken with this author, the Baridi clan elders say that the Baridis' origin lies in the al-Khawalda tribe of the Arabian Peninsula. The clan has a renowned feudal landlord status in the Yarmouk Valley, possessing approximately 7,000 dunams of agricultural land. Aymenn Jawad Al-Tamimi, "The Life of al-Khal: First Leader of Liwa Shuhada' al-Yarmouk," Syria Comment, February 14, 2016. "In an Exclusive Interview with Orient Net, al-Khal Discusses Allegiance to the Dawla Organization and the Disagreement with 'Nusra'," Orient News, November 15, 2015,. "Leaked Video of 'al-Khal' Accusing al-Nusra of Rejecting the alliance with Liwa Shuhada' al-Yarmouk," Orient News, November 18, 2015. Thanks to analyst Sam Heller who first drew this aspect of the video to the author's attention. Conversations with multiple LSY members in period January-April 2016. A more detailed but slightly differing account of Abu Obayda Qahtan was offered in May 2016 by Shams al-Asil, who said that Abu Obayda Qahtan is a Palestinian from al-Matar neighborhood in Dar'a city and left Syria in the wake of the Hama uprising in the 1980s, and then fought in Afghanistan and Iraq before coming to Jordan. The source added that Abu Obayda Qahtan is considered a wealthy man as the owner of assets in Amman, and became linked to LSY from the very beginning via al-Khal's younger brother, whom he got to know in Jordan in relation to providing aid for Syrians. His desire to support al-Khal, according to this source, was on account of a shared Salafi outlook. On this reading, in being a key source of support for LSY from the outset, he can still practically be considered among the founders of LSY. "54 Factions in the Southern Front: Commitment to Principles of Human Rights," Orient News, June 11, 2014, . "Important: Formation of Harakat al-Muthanna al-Islamiyya," HMI on Youtube, May 20, 2013, . "Interview with One of the Field Commanders in Harakat al-Muthanna al-Islamiyya Commenting on the State of Heavy Vehicles That Have Been Seized," New Syria, November 30, 2013, . Jawad Al-Tamimi, "The Life of al-Khal." Phil Sands and Suha Maayeh, "'The Uncle': The Life and Death of ISIL's Man in Southern Syria," The National, January 16, 2016, . Aymenn Jawad Al-Tamimi, "The First Connections Between Liwa Shuhada' al-Yarmouk and Islamic State," Aymennjawad.org, March 19, 2016. Conversation with Abu Layth al-Yarmouki (ex-LSY member), March 2016. Aymenn Jawad Al-Tamimi, "Liwa Shuhada' al-Yarmouk: History and Analysis," Syria Comment, September 18, 2015. Sands and Maayeh, 'The Uncle." "New Truths About the Operation of the Assassination of One of the Leaders of Liwa Shuhada al-Yarmouk in Deraa," All4Syria, March 19, 2015. However, note that the article gets details wrong in reporting dates of various incidents related in the video. "In an Exclusive Interview with Orient Net, al-Khal Discusses Allegiance to the Dawla Organization and the Disagreement with 'Nusra'." Screenshot from the LSY video, . Conversation with Abu Islam (Shajrah local council representative), March 2016. "Renewal of clashes between Nusra and Liwa Shuhada al-Yarmouk in Deraa Countryside," Orient News, December 17, 2014,. Phil Sands and Suha Maayeh, "Al Nusra Killing of FSA Leader Tests Fragile Truce in Southern Syria," The National (UAE), December 16, 2014,. "In Voice and Picture: The Leader of 'Shuhada al-Yarmouk' sings for Da'esh," al-Modon, March 1, 2015,. Conversations with LSY members February-April 2016. One of them, Abu al-Walid al-Baridi, who receives a salary of $50 per month, says his salary comes from IS. Aymenn Jawad Al-Tamimi, "Talking to the Yarmouk Martyrs Brigade," Syria Deeply, October 13, 2015, http://www.rubincenter.org/2015/10/talking-to-the-yarmouk-martyrs-brigade/. E.g., "Photos from the Establishment of Noon Prayers in One of the Mosques in Hawdh al-Yarmouk," Hawdh al-Yarmouk Media, December 30, 2015,. Also from the same day a photo series on the confiscation and burning of tobacco products, https://justpaste.it/q1qn. More recently, a "Yarmouk News Agency" has been set up that resembles the IS Amaq News Agency to a degree in name and reporting format (e.g., sample news item on the reported arrest of a spy working with the "Sahwa factions"– i.e. the rebels fighting LSY–can be viewed here). Photo from November 2015 on damage to a school in Nafi'a "overseen by the Diwan al-Ta'alim in Hawdh al-Yarmouk,". Conversation with Abu Hamza al-Yarmouki (LSY media director) in April 2016, and conversation with Abu al-Walid al-Baridi in March 2016. Conversation with Abu Islam, March 2016. Conversation with Nisreen al-Zaraee (Tamkeen research director), April 2016. LSY account of the incident. Conversations with locals and LSY members in the period October 2015-February 2016. "Al-Urduni After His Defection from Nusra Strives to Join Liwa Shuhada al-Yarmouk to the Dawla Organization and Declares takfir on the Free [FSA] Formations in Dar'a,"Step News Agency, January 18, 2015, . Conversation with Abu al-Walid al-Baridi, April 2016. Iyas al-Omar, "The Killing of 'Abu Tahrir'–the Military Commander in Liwa Shuhada al-Yarmouk–in Dar'a Countryside," All4Syria, April 5, 2016. However, note that until now there has been confirmation from LSY of Abu Tahrir's claimed death, and a notice circulated in the group's name claiming that he had been killed was fake. 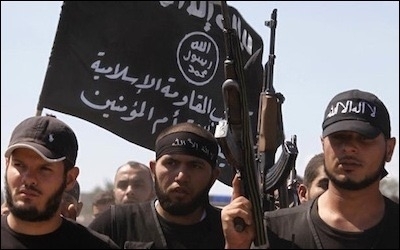 "8 Opposition Factions Announce the Formation of 'Jaysh al-Fatah' in Southern Syria," alSouria.net, June 20, 2015. "Liwa Shuhada al-Yarmouk Seizes Tasil in the Dar'a Countryside," Enab Baladi, March 21, 2016,. Preview graphic from LSY promoting the video, Twitter. LSY statement, Twitter, December 31, 2015, . "Harakat 'al-Muthanna': 'Shabab al-Sunna' Prevented Us from Tracking Regime Forces' positions in Suwayda and Blowing Up Husseiniyat in Busra," Smart News Agency, March 30, 2015, . Busra al-Sham in eastern Dar'a was known as a base of influence for Shi'i militias and had a notable Shi'i population that entirely fled for Suwayda with the fall of the town to an offensive led by HMI and Farqat Shabab al-Sunna, the latter a Southern Front faction. Though there were attempts to mediate the dispute between the two sides, HMI eventually left Busra al-Sham. According to a spokesman for another Southern Front group– Farqat Usud al-Sunna–HMI wanted to seize the homes of the Shi'a who had fled and convert them into bases. Conversation in March 2016. 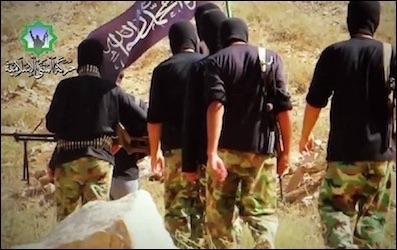 "Clashes Between Harakat al-Muthanna and Liwa al-Mu'tazz Bi-Allah, and Jabhat al-Nusra Enters the Triangle of Death with Force," Smart News Agency, March 10, 2016, . Copy of the HMI statement, Twitter: "This is Harakat al-Muthanna al-Islamiyya's Position on the Islamic State in Iraq and al-Sham Organization,". HMI statement from June 25, 2015, announcing participation in Southern Storm offensive,. "Head of the Dar al-Adl court to 'Kulluna Shuraka': The leader of Harakat al-Muthanna Is the One Who Assassinated Shaykh al-Yatim," All4Syria, April 7, 2016,. Ammar Hamou and Maria Nelson, "Intra-Rebel Accusations Compound Tensions in South Syria Arena," Syria Direct, January 18, 2016. Conversation with spokesman for Farqat Falluah Hawran, January 2016, asserting that HMI cut off rebel reinforcement line to Shaykh Maskin. Thus, observe the HMI Twitter feed posted on February 2, 2016, and then went quiet until March 20, 2016, https://justpaste.it/hmitwittersilence. Aymenn Jawad Al-Tamimi, "Defections from Harakat al-Muthanna in Deraa: Translation and Analysis," Aymennjawad.org, March 28, 2016. Aymenn Jawad Al-Tamimi, "Liwa Shuhada' al-Yarmouk Appoints a New Leader," Aymennjawad.org, March 14, 2016. Ibid. LSY's media director said the following in March 2016 in response to a question from this author on whether Madani was sent by IS: "Brother, do not blame me. It is information I am not permitted to share." This lack of confirmation is in keeping with the official LSY line of denying links to IS, but at the same time the lack of denial betrays IS involvement in the matter. Aymenn Jawad Al-Tamimi, "The Fitna in Deraa and the Islamic State Angle," Jihadology, March 26, 2016. "Military Factions Form an Operations Room to Catch Da'esh Members in Dar'a," All4Syria, March 24, 2016,. "Revolutionaries Seize the Locality of Tasil in West Dar'a Countryside," All4Syria, April 8, 2016, http://all4syria.info/Archive/305456. Conversation with LSY media director on April 4, 2016. Minbar al-Muthanna, one of HMI's official pages, put up a post on April 12, 2016, indicating the merger statement was a forgery. "The Amir of Harakat al-Muthanna Denies Connection with the Dawla Organization," al-Jazeera, March 27, 2016,. The claim was posted on HMI's official media channels on April 3, 2016. "Katibat Bayt al-Maqdis al-Islamiyya: The Martyr by God's Permission the Mujahid Abu Hamza," Suqur Hawran GH GH, November 14, 2013,. Conversations with a JBMI defector to LSY, LSY member, and spokesman for Farqat Usud al-Sunna, January-March 2016. Jawad Al-Tamimi, "The Fitna in Deraa." Conversations with JBMI defector to LSY and the spokesman for Farqat Usud al-Sunna, March 2016. The latter described the situation as follows: "This group is reliant on one of its Shari'i officials who often seems to be changeable. Before the matter of the current dispute, they [the leadership] did not condemn their admiration [the members' admiration] with Da'esh, as for now they consider Da'esh to be takfiri extremists." Conversation with JBMI defector to LSY, March 2016. Based on conversations with LSY members and open source data. LSY media released a photo in May 2016 featuring Abu Obayda Qahtan. Killed in late March 2016. He was from the Nabulusi clan of Nafi'a, see https://twitter.com/ajaltamimi/status/712744271653310464. Killed on May 6, 2016 in fighting on the Ain Dhikr front on the northern periphery of LSY's domain. According to Abu al-Walid al-Baridi, he was originally in Liwa al-Mu'tazz bi-Allah and joined LSY around two years ago, serving in a purely military capacity before becoming head of the Diwan al-Da'wa wa al-Masajid. Abu al-Walid al-Baridi added that Abu Umar has since been replaced by one Abu Hamza al-Kum, who was originally part of HMI and is a new arrival for LSY. Killed in fighting in the Sahm al-Jawlan area in November 2015.